Place all ingredients into drinking glass; mix well. 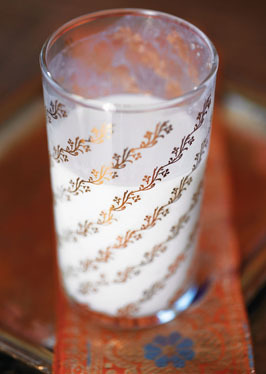 Lassi is a South Indian drink and is one of the easiest things to make. It is essentially buttermilk or yogurt whisked with water. The consistency of lassi can run from thick to thin dependent on individual choice. Salted lassi is normally taken after a meal as an aid to digestion.